The question of what constitutes norms for global justice is of considerable concern for all those interested in world peace and cooperation. 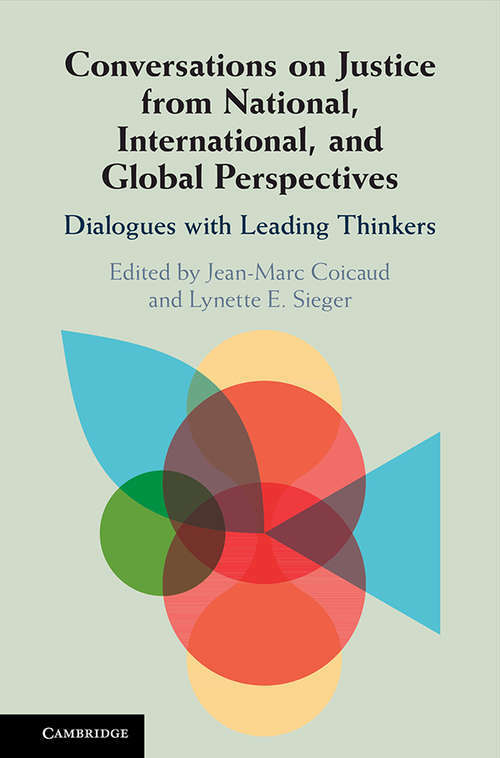 In order to define these global norms, Jean-Marc Coicaud, while working at the United Nations University, initiated a project centered around conversations with leading theorists and policy practitioners in global affairs. Conversations on Justice from National, International, and Global Perspectives features world-class authors and activists, from around the world, and from a variety of disciplines, to discuss the central questions of justice at the national, international, and global levels. Made up of a compilation of dialogues, this volume's unique format makes it highly accessible and even fun to read. The insights and observations of these leading intellectuals and scholars provide a rich contribution to theories on how global justice might become a reality.